No political concept is more used, and misused, than that of democracy. Nearly every regime today claims to be democratic, but not all "democracies" allow free politics, and free politics existed long before democratic franchises. This book is a short account of the history of the doctrine and practice of democracy, from ancient Greece and Rome through the American, French, and Russian revolutions, and of the usages and practices associated with it in the modern world. 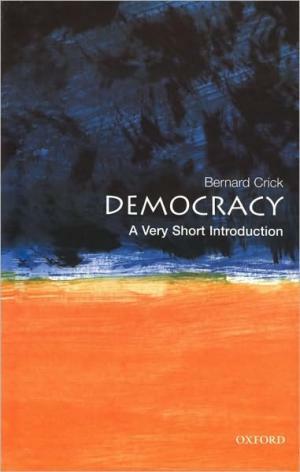 It argues that democracy is a necessary but not a sufficient condition for good government, and that ideas of the rule of law, and of human rights, should in some situations limit democratic claims.